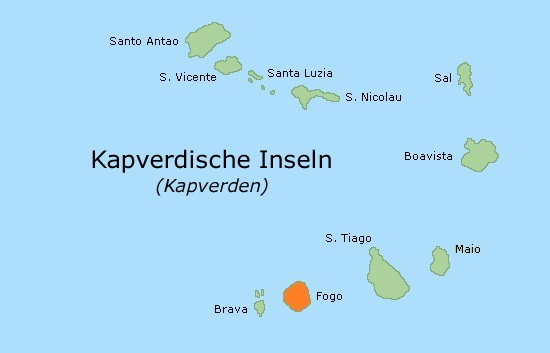 The Cape Verdean island of Fogo was discovered on the day of honor of St. Filip. The island was first named Sao Filipe, like its capital. Then, due to its active volcano, they changed the name of the island to “Fogo”, which means “Fire”. is the capital of the island. It is famous for its Colonial houses from the 19th century, so-called “Sobrados” that dominate the townscape. The upper town was once residence of the slaves. unfortunately, the long, wide beach below the city is not suitable at all for bathing. Danger of Life! when you look at the map of the island of Fogo, you can see it at first sight: the entire island is a huge volcano. The so-called Caldeira forms the “crown” of the island. 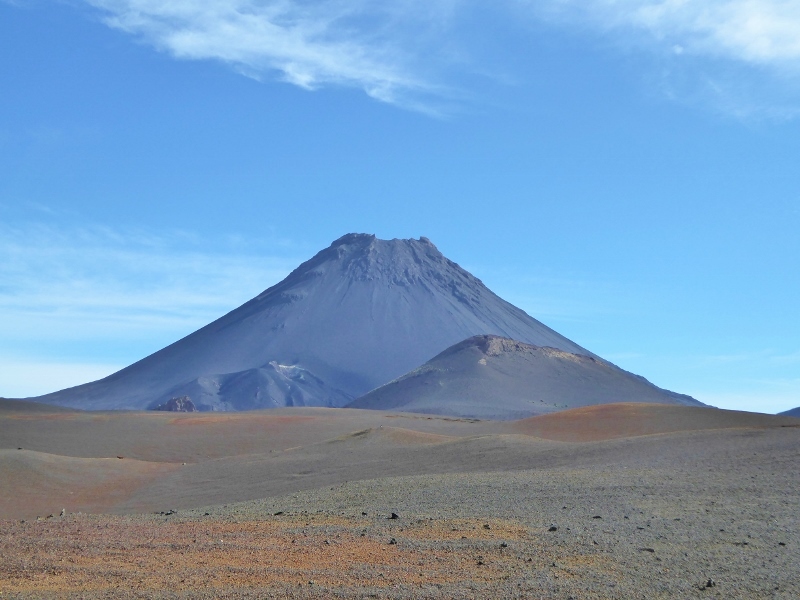 This Caldeira is open to the North and South and bordered to the East by a giant volcano, the “Pico de Fogo”. The area inside the Caldera is called Chã das Caldeiras. A biological wine has been cultivated there for around 100 years. Pioneer was a Frenchman named Montrond, who began the wine business in a larger style and left many children there according to Cape Verdean manner. 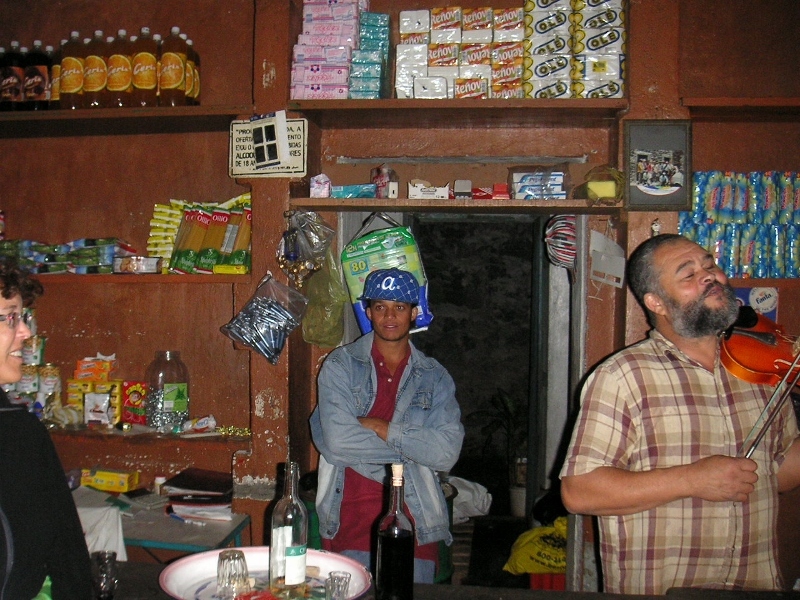 Since that time, people up in Chã das Caldeiras lived from wine cultivation and were always self-sufficient. The Caldeira is fertile and produces maize, beans, apples and pomegranates. Furthermore, people had goats, pigs, chickens and some cows. In the last years, hiking tourism became to be another source of income for the locals. The village of Portela-Bangaeira in Chã das Caldeiras counted 1300 inhabitants, when the volcano erupted in late November 2014, and within just a few days, the village got buried under hot lava flows. 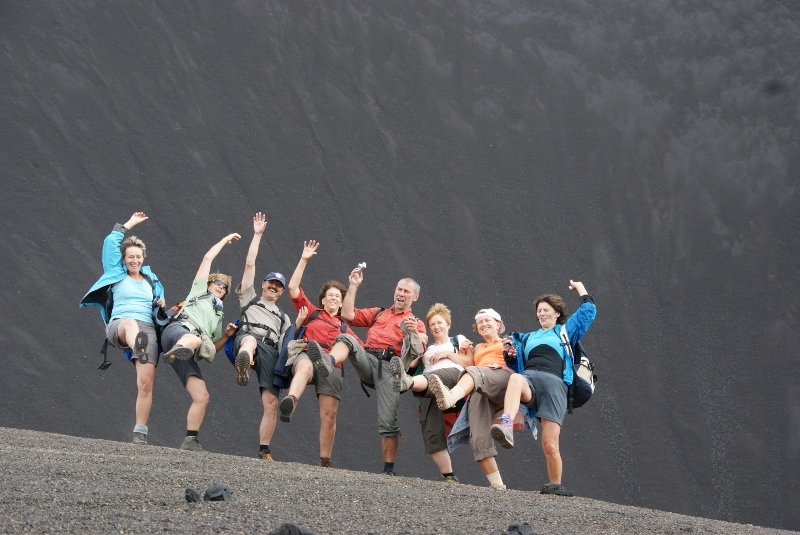 More and more, former Caldera residents now return to their homeland and start from the beginning once more – until the next volcanic eruption! Crazy??? – Once you get to know the life in Chã das Caldeiras and the people there, you will understand. 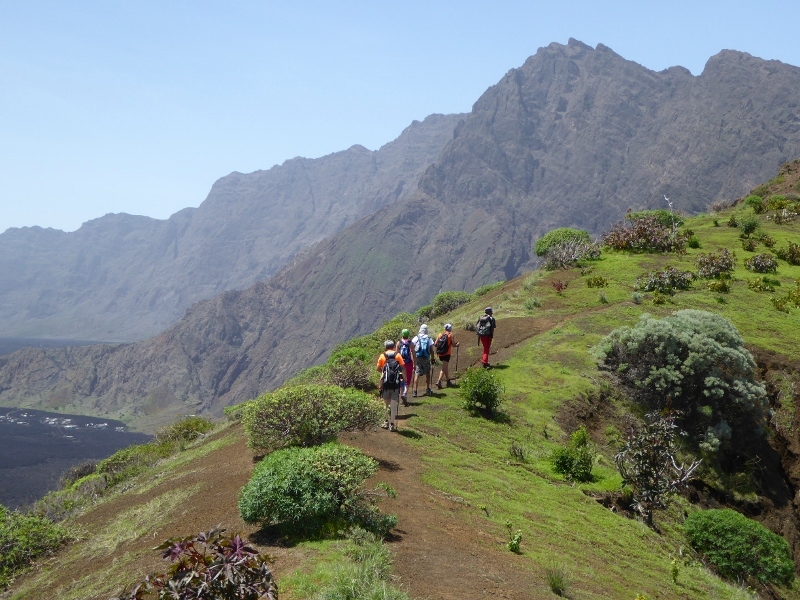 Experience the diversity of 5 Cabo Verde islands. 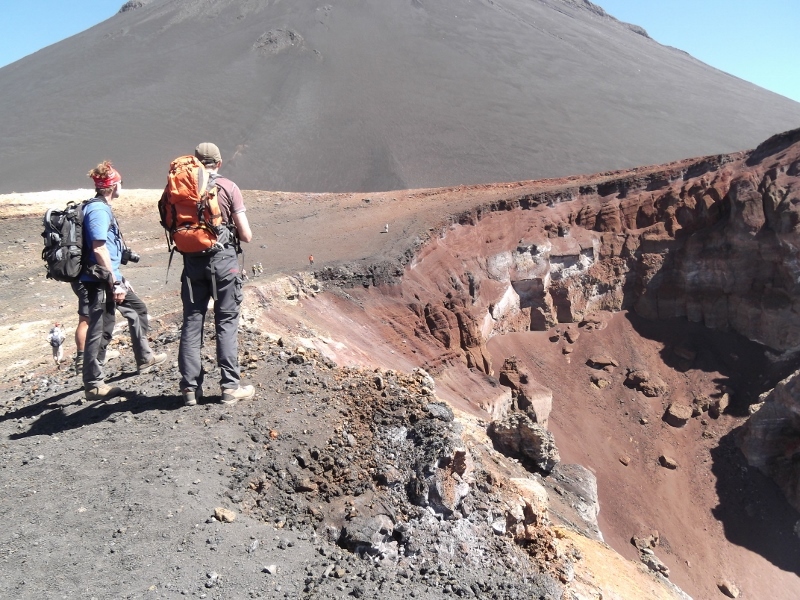 Trekking and hiking from tropical valleys to the volcano of Fogo. If you want to stay more days in Fogo, we will be pleased to organize an individual program for you.